Individuals with hyperhidrosis are more likely to have anxiety, depression, and attention deficit disorder, according to new research presented at the American Academy of Dermatology’s (AAD) 2019 Annual Meeting in Washington, DC. Of the 500 hyperhidrosis patients involved in the study, 13.8 percent had anxiety, 12.4 percent had depression, and 6.4 percent had ADD—all rates higher than those reported in the general population. These findings held regardless of gender or age, explains study author Dee Anna Glaser, MD, FAAD, professor, interim chair and director of clinical research and aesthetic and laser surgery in the department of dermatology at St. Louis University School of Medicine. While the severity of patients’ hyperhidrosis and the body location involved didn’t impact the likelihood of having a mental health condition, there was a correlation with the number of body locations affected by hyperhidrosis. Dr. Glaser says she was most surprised by the association between hyperhidrosis and ADD. According to Dr. Glaser, the nature of the relationship between hyperhidrosis and mental health conditions is not yet clear. While more research will be necessary to evaluate this relationship, she says, it’s important for patients and doctors to be aware of this potential connection. There are significant differences in the engineering and design of modern sutures compared to previous thread technologies, resulting in a completely different safety and efficacy profile. 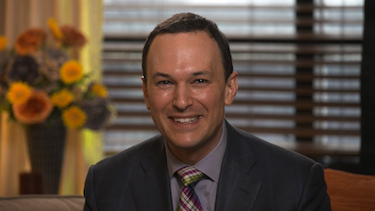 Michael Gold, MD provides an overview of absorbable sutures for nonsurgical face lifting. Loss of volume, not just sagging, is responsible for aging upper lips, according to a new study in Plastic and Reconstructive Surgery. “Our results suggest that the aging perioral area is affected with a combination of soft tissue lengthening, thinning, and volume loss,” concludes the new research, led by Patrick L. Tonnard, MD, PhD, of Coupre Centre for Plastic Surgery in Ghent, Belgium. The researchers analyzed MRI scans of the head obtained for other reasons in 200 adults: 100 women and 100 men. Participants were divided into a younger group aged 20 to 30 and an older group aged 65 to 80. Detailed measurements of the “upper lip unit” were analyzed to evaluate differences between the two groups, with an average age difference of nearly 50 years. The measurements revealed several age-related differences in the anatomy of the upper lip. These included significant lengthening of the upper lip in older adults: about 19 percent longer in women and 18 percent longer in men, compared to the younger group. The older group also demonstrated decrease in soft tissue thickness of the upper lip: by about 41 percent in women and 33 percent in men. Most of the reduction in tissue thickness occurred at the alar nasolabial fold. The findings suggest that age-related lengthening and thinning of the upper lip represents more than just “sagging,” Dr. Tonnard and colleagues write. “Volume loss is an obvious feature of the aging upper lip.” Loss of soft tissue volume also seems to contribute to deepening of the nasolabial folds. Lengthening, thinning, and volume loss all contribute to aging of the area around the mouth, the study suggests. The findings add to the evidence base underlying plastic surgery and other cosmetic procedures for facial rejuvenation. 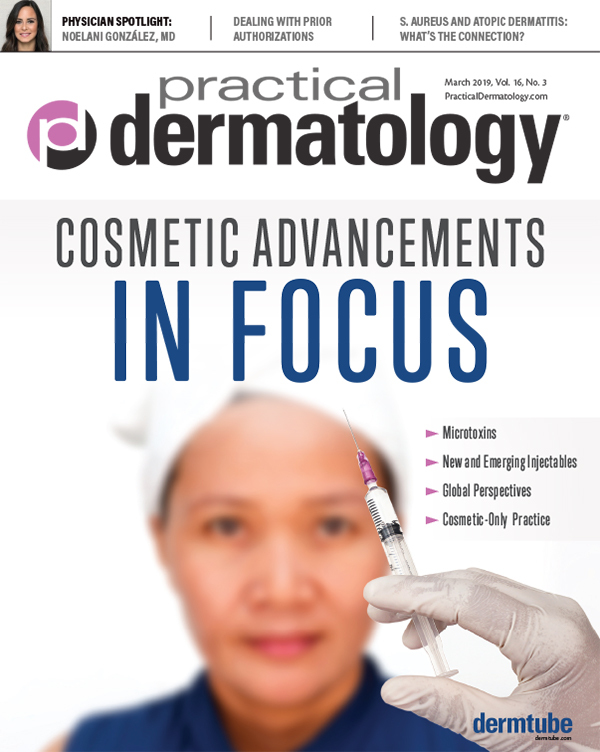 Dr. Tonnard and colleagues plan a follow-up article to discuss the clinical implications of their findings, including the role of dermal fillers for minimally invasive volume augmentation. Cutera, Inc. launched its excel V+ laser platform, which the company describes as a technological advancement that includes 50 percent more power and treatment speed, optimized delivery systems and parameters for treating vascular lesions and pigmentation concerns. Cutera unveiled the excel V+ at The American Academy of Dermatology 2019 Annual Meeting. “I am very pleased to have collaborated with Cutera’s R&D team on the development of the excel V+. The technological advancements of the new laser enhance an already best-in-class platform. The new capabilities will transform the experience of my patients. The advancement of the technology means I will be able to treat veins and vascular lesions and skin pigmentation more efficiently, precisely, and with improved results,” says E. Vic Ross, MD, a dermatologist at Scripps Clinic, San Diego, CA. New Dermastat tracing handpiece to quickly treat small vascular and pigmented lesions on the face and body. Syneron-Candela has rebranded the company to Candela and unveiled its new corporate branding at the AAD Annual Meeting. The new corporate identity reflects the unification of the Syneron and Candela brands and is designed to support continued global market growth as a unified single entity. Candela’s new brand identity went live with the launch of its new corporate website candelamedical.com, new marketing materials, print, digital, and social campaigns. New patient, physician, and practice focused assets will continue to be rolled out over the course of the year. “Scientific rigor, clinical outcomes and building trusting partnerships with physicians are the same values that established Candela’s historic leadership over the years. The combination of Candela’s new management, innovation of products such as the Vbeam Prima system coupled with Candela’s values, strongly positions the company for continued growth while making them an even more trusted partner to medical aesthetic practices globally,” says Eric Bernstein, MD, an Ardmore, PA-based dermatologist who is also chairperson of Candela’s Medical Advisory Board. In addition to unveiling its new visual brand identity, the company also presented products and technologies highlighting clinical outcomes during 18 clinical presentations and educational courses at the AAD. Candela also showcased its newest products–the Vbeam Prima and Nordlys systems. The Vbeam Prima device is an advanced 595nm pulse dye laser (PDL). With the addition of a 1064nm wavelength and a number of other new user focused features, the Vbeam Prima device is able to effectively treat a broad range of skin conditions, including: rosacea, port wine stains, acne, facial, leg and spider veins, scars, benign pigmented lesions and wrinkles, warts, stretch marks, and photoaging.